My tropism toward The Wrong Media Format is really kind of impressive. Take my 60gb of useless Ogg Vorbis files… please! I managed to buy a laserdisc player in 2001, and when it broke replaced it with an actual LaserKaraoke™ player. 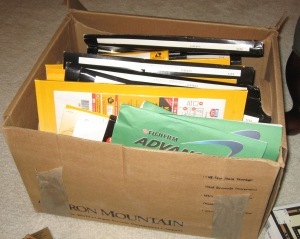 Somewhere buried in the wreckage of my office is several gigabytes worth of data stored on 100mb Zip™ disks. (Boy, didn’t those seem like the most awesome idea ever in the 18-month window between the death of the floppy disk as a useful medium and the rise of the 10-cent CD-R.) I own an Atari Jaguar, a Dreamcast and two Nuons. It’s a lifelong affliction. But of all of those poor archiving decisions, none of them had anywhere near the physical effect on my life as the fateful day that, in advance of an upcoming vacation, I walked into a drugstore in Cambridge Massachusetts and somewhat on instinct bought a Kodak Advantix point-and-shoot camera. Yes, in 1998 — just at the dawn of the era of consumer digital photography — I managed to invest myself into the single biggest boondoggle the photo industry had cooked up since the Disc Camera. …oh wait, I had a Disc camera too. In 1984. Seriously, I have a problem. Anyway, besides being more expensive than 35mm to buy and process while offering not really any actual advantages over 35mm film other than the storage cartridge and automatic timestamping (which respectively were not much of an advantage at all, and a feature offered by most 35mm point-and-shoot cameras anyway), APS had one particular misfeature that was to become the bane of my existence during my multiple attempts at bringing some order to the slow-motion explosion in a paper factory that I laughingly refer to as my filing system: The Wart. 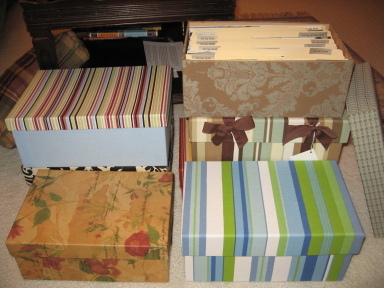 …and I had multiple boxes like that (four, some of them larger than the one pictured), all taking up space on the floor of my office closet. That, apparently, is what 10 years worth of bad snapshot photography looks like when organized into to a somewhat more manageable storage format. A lot of the space is wasted, since I was dumb enough to use the “panoramic print” option of the APS system frequently, so the photos have to be stored sideways to accommodate the 11.5”-wide prints, but I can now reclaim several dozen square feet of precious storage space in the office closet and am thus 10% closer to complete victory in Operation Crap Expulsion. The photos themselves can now begin the next step in the great lifecycle of such things: gathering dust until my heirs toss them into a landfill.